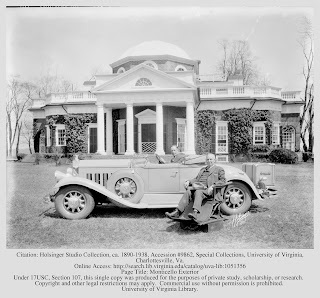 TOOTHSOME VIANDS: A hundred years ago, in the early winter of 1917, the U.S. Congress was making its last attempt to purchase Monticello from Jefferson Levy. Bills to do that had been introduced in Congress beginning in 1912, accompanied by bombastic hearings in which Jefferson Levy staunchly defended his ownership of the house to fight the proposed government takeover. They went nowhere for five years, even after Levy agreed in 1914 to sell the house and grounds and all the furnishings to the government for $500,000. As I wrote in Saving Monticello, the Senate Committee on Public Buildings on Grounds held a hearing on January 9, 1917, on a new Monticello resolution. This one called for the government to purchase Monticello for Levy’s asking price, and use it as a Virginia getaway for U.S. presidents, what Camp David in Maryland is now. On Sunday morning, January 28, 1917, a remarkable event took place. A party of 40 men and 27 women—including many members of the House Committee on Public Buildings and Grounds and their wives—boarded two special Southern Railway cars for the train trip from Washington to Charlottesville. A delegation from the local Chamber of Commerce met party at the Charlottesville train station and whisked them up to snow-covered Monticello in two dozen automobiles. The lead vehicle was decorated with two huge American flags. The group gathered on Monticello’s east lawn to take in the mountain views and then proceeded to the front steps where Jefferson M. Levy and his Charlottesville neighbor, Miriam Boocock, greeted them. The guests took a guided tour of all of Monticello's rooms before sitting down to a lavish lunch in the dining room. Levy brought in a phalanx of waiters and maids—all African Americans—for the occasion. Whether or not that last line was tongue in cheek—or the lack of wine had any impact on Congress—Levy did not reduce his offer. 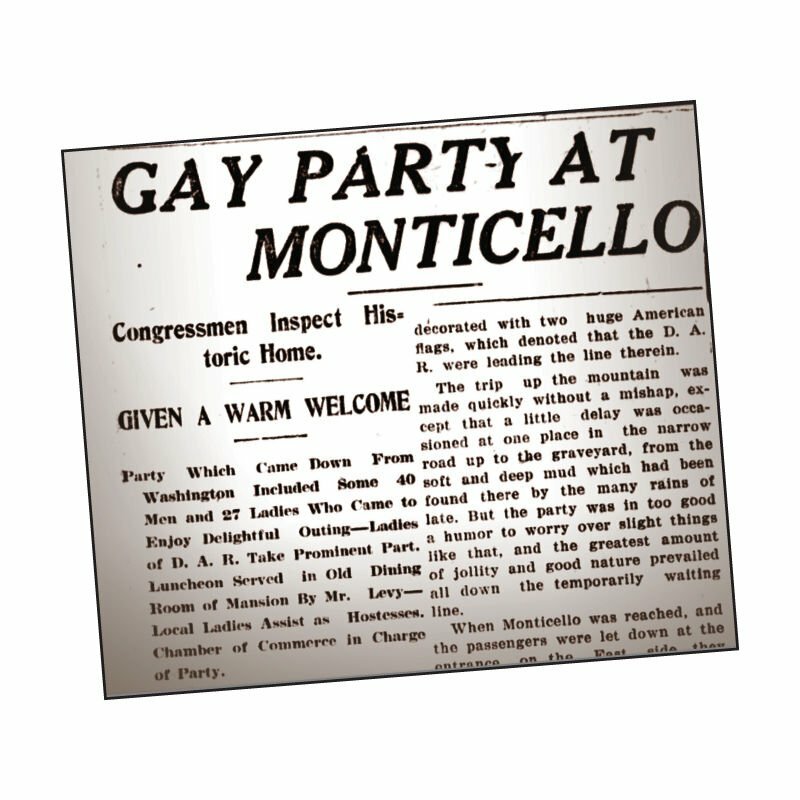 Congress adjourned on March 3, 1917, without taking action on any of the Monticello resolutions. When the U.S. entered the First World War in April, the matter was dropped in Congress and never would be taken up again. 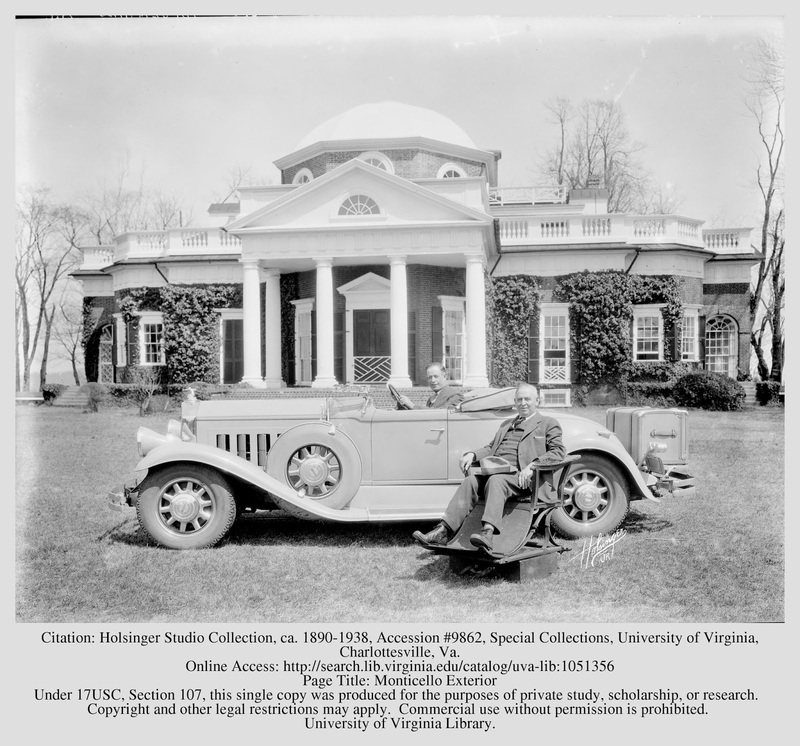 Levy sold Monticello for his asking price to the newly formed Thomas Jefferson Memorial Foundation in 1923. “You read 531 words in 141 seconds and your reading speed is 225 words per minute. It will take you 6 hours and 2 minutes to complete Saving Monticello: The Levy Family’s Epic Quest to Rescue the House that Jefferson Built.” I’m a fairly slow reader, so I’m guessing most folks can read the book in under six hours. A good use of one’s time, I would say. To take the test, go to http://bit.ly/SMreadtime Feel free to email me with your results—and comments. WRONG CENTURY: In last month’s newsletter I wrote that historic Mikveh Israel synagogue, where the Phillips and Levy families worshiped in Philadelphia, was founded in 1840. I was off only by a hundred years, as several SM newsletter subscribers kindly reported. Mikveh Israel, which bills itself as the “Synagogue of the American Revolution,” dates its founding from the 1740 establishment of its cemetery, making it the oldest formal congregation in Philadelphia. Its first building dates to 1792. Mikveh Israel is the third oldest congregation in the U.S., behind Shearith Israel in New York City (founded in 1654), Mickve Israel in Savannah (founded by, among others, Uriah Levy’s great-great grandfather Samuel Nunez in 1733), and Touro Synagogue in Newport Rhode Island, which has the oldest actual building, which dates from 1758. Members of the Nunez and Levy families, including Uriah Levy and his nephew Louis Napoleon Levy, also worshiped, and were active in, Shearith Israel in New York. OLD FRIENDS: After last month’s newsletter went out, I received a gracious email from Dan Jordan, the former head of the Thomas Jefferson Foundation. 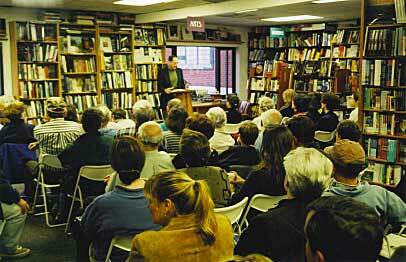 Dan had provided Monticello’s full and much-needed support when I was researching and writing Saving Monticello in 1999 and 2000. Now semi-retired, Dan told me he was thrilled to read that I was in contact with Harley Lewis, the Levy descendant whom I mentioned in the newsletter. They had formed a bond when Dan took over as the Foundation’s head in 1984 and immediately set out to give the Levy family the recognition it deserved for saving Monticello on two different occasions. This newsletter is a labor of love and I’m happy to report that it helped Dan and Harley connect by email for the first time in many years.